Choosing the right tarot reader for you is the most important aspect of getting a reading. Choose a great reader and you have the potential to change your life, but choose one that’s wrong for you and it can leave you feeling cheated, angry and even vulnerable and victimised. Here is my checklist for finding the right tarot reader, but if you have something to add please feel free to leave it in the comments. OK this might seem a stupid thing to say, and you’re not looking for a new best friend, but trust your intuition here. 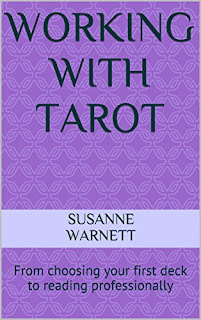 Most people are looking for a tarot reading to help them with a major life issue, so do you really want to be discussing your career, love life or spirituality with someone who instantly annoys you? Definitely not. 2. They are confident about what they do. You should be able to ask questions about who they are, what they do and how long they’ve been doing it. If they are vague or try to avoid answering, walk away. 3. They are clear about pricing. Some tarot readers work completely free, some work for donations or “love offerings” as they are often called, and some set fixed fees. If it is down to your discretion then please be generous; it takes time, energy and years of training and you are changing your life so give what you can afford to. If the reader has a set fee then please don’t try to haggle them down. A good and reputable reader will have thought long and hard about how much to charge. If you are in any doubt research the going rate for therapists, doctors, lawyers or any other specialist in your area with the same amount of expertise. Even children’s entertainers charge around $200 per hour, so you could be getting a bargain. Many tarot readers ask to be paid up front, either when you sit down or at the time of booking. Many countries class tarot readings as a form of entertainment, so be sure to check what their refund policy is. On this note, please don’t expect a refund if you get told something you don’t want to hear or you don’t get the answer you were hoping for. 4. They have some form of credibility. This can take many different forms. There are organisations that offer formal training and qualifications, and these should ensure a minimum quality standard at least. However many tarot readers haven’t bothered with this, instead relying on their years of experience to give them validity rather than paying often quite large amounts of money to be shown how to do what they’ve already been doing for the past five, ten, or twenty years. Most professional tarot readers will be able to offer you testimonials from previous clients, so don’t be afraid to ask. 5. They’re not out to scare you or prove how spooky they are. Here’s the thing; I know I’m a bit weird. I’ve been drawn to tarot, witchcraft and the occult since childhood, so I don’t need to prove just how weird I am by dressing like a Shakespearean hag during tarot readings. Sure, some clients expect you to look a certain way, but most professional readers are just that – professional. If you leave my reading feeling scared and disempowered I have failed at my job. 6. They don’t pressure you into extra readings. 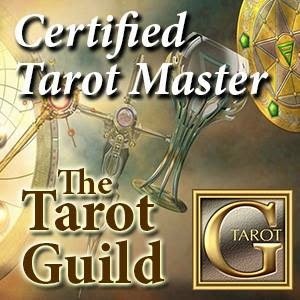 Many clients who seek a tarot reading are looking for insight and clarity and not a quick fix, and for this reason it is acceptable to be offered a follow up session a few weeks or months down the line. What is not acceptable is for a reader to demand you come back tomorrow or next week to re-examine the situation. Events take time to unfold so I always recommend at least 6-8 weeks between readings, but typically it should only be every 3-6 months unless something radically changes. Similarly if the reader talks to you about being under a curse only they can break or a great disaster is about to befall you, walk away. So those are the key points to consider when choosing a tarot reader. Basically it boils down to do your research, get a recommendation if you can and above all else trust your intuition. If you think I’ve missed something obvious that will help everybody then please leave it in the comments for my review.